Our Lady’s Nurses for the Poor was founded in Sydney by a young Australian woman, Eileen O’Connor, considered by many to be a saint-in-waiting, and a Society of the Missionaries of the Sacred Heart priest, Rev. Edward (Ted) McGrath. In 1913, a small community of Catholic women gathered by Eileen O’Connor and Father McGrath began their mission from rented premises in Dudley St, Coogee. By the end of the year, the house was purchased with the generous financial assistance of Rev. Edward Gell and his sister, Miss Frances Gell. Over the following months and years, seven young women entered Our Lady’s Home. The foundation nurses and those that followed became affectionately known as the ‘Brown Nurses’ because of their distinctive brown cloaks and bonnets, chosen by the founders in honour of St Joseph. In 1953, Our Lady’s Nurses for the Poor was officially recognised as a diocesan congregation. Ministries were established at Brisbane in 1956 and Newcastle in 1962. At one stage, the congregation had almost 40 religious sisters and novices ministering throughout Sydney, Brisbane, Newcastle and Wollongong. 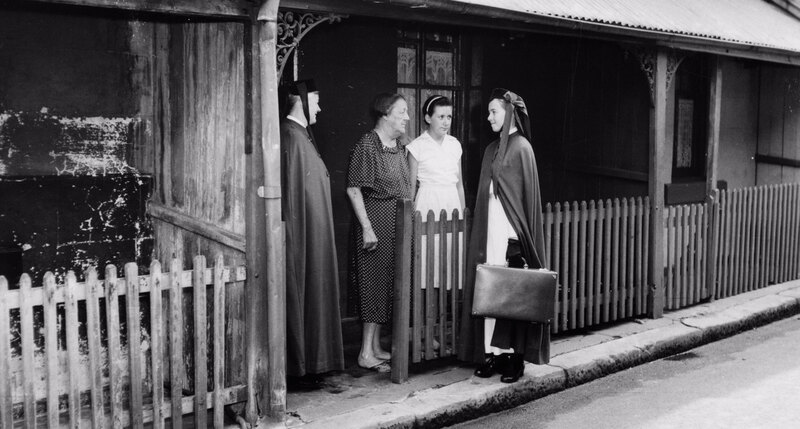 The Brown Nurses, a work of the Society of Our Lady’s Nurses for the Poor, conducts a mission for the poor and disadvantaged in the local government area of Sydney. Many of their patients suffer debilitating mental and physical illnesses. Being in the care of the Brown Nurses is their last chance to live independently. On 1 July 2017, the Congregation of Our Lady’s Nurses of the Poor came under the governance of the Congregational Leader and Council of the Sisters of Charity of Australia, thereby ensuring the charism of Eileen O’Connor and the legacy of the Brown Nurses is carried into the future. Arriving in Australia in 1838, the Sisters of Charity have a long history of involvement in education, healthcare, aged care, social welfare and social justice.